Information: Dr. Miriam D. Lidster (1918-1996), teacher and author of books about dance..
With her husband Charles Michael "Chuck" Lidster, she was one of the first teachers to present the dances of Israel at folk dance camps in the United States..
Miriam Lidster, born in 1918, was nationally known as an authority on folk dance. She began her career in Sacramento, California in the 1940s after completing her B.A. degree at Oregon State University and later an M.A. from New York University. She studied dance with such greats as Martha Hill, Martha Graham, Louis Horst, Doris Humphrey, Charles Weidman, and others. From 1942 on, she taught dance at Stanford University, where she conducted yearly International Folk Dance Seminars, directed the Stanford International Dancers, and supported the Stanford Folk Dance Club. In addition to folk and modern dance, she taught dance history, dance appreciation, and teaching techniques. "Ms. L," as her students affectionately called her, was also one of those who helped initiate in June of 1943 the annual folk dance festival of the Folk Dance Federation of California, Inc. on the Stanford campus. In 1944, she began the popular May Day dance celebrations that were held on the grassy field next to the Women's Gymnasium on campus. The year 1949 saw the beginning of what was called the Stanford International Folk Dancers who made their first tour in 1950 and began giving a Tuesday evening series free to the public in the Memorial Auditorium. By 1964, the Dancers were awarding annual scholarships to the Stockton Folk Dance Camp. For the next decade, folk dancing continued to become more popular on campus. During this period, Professor Lidster also participated in the Dance Section of AAHPER, which became the National Dance Association (NDA) and became its president in 1978. Miriam began the Stanford University thrust in folk dance in 1960 when she started the famous International Seminars through which she invited ethnic specialists to the campus such as Joukowsky, Timbancaya, Aquino, Imbusch, Vargas, Bloland, Greene, Oved, Moreau, Tremor, Kolarovski, Tracie, Palfi  the list goes on an on. Unfortunately, this "Golden Age" of international ethnic dance at Stanford came to an end in 1975. According to Professor Lidster, the masters degree emphasis in folk dance also has seen its "fin" and unless a person were keenly interested in maintaining the international aspect of life on the Stanford campus and revitalizes the program, the school will have lost its position as a national center of international folklore through dance. Dr. Lidster studied dance in Hungary and Yugoslavia and taught in Japan, Israel, and England. She was on the Dance Research Committee of the Folk Dance Federation, Inc..
Dr. Lidster passed away in 1996, preceded by her husband in 1992. Folk Dance Progressions. Lidster, Miriam D, and Tamburini, Dorothy H. Belmont, Cal. : Wadsworth, 1965; reprint Westport, Conn.: Greenwood Press, 1978. Pioneering text on teaching folk dance by progressing from simple changes of weight to similar, more complex series of changes. Unfortunately, many students and teachers stop at weight-changes and ignore the wealth of styling that differentiates one ethnic group from another and makes folk dancing special. Extensive bibliography. Teaching progressions for folk dancers. 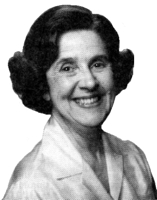 Lidster, Miriam D. Stanford, Calif.: M. Lidster, 1975.